Since the masked magician appeared many years ago, many magicians and those who are not performers but love magic were upset and surprised that this masked magician was revealing magic secrets that for years and years illusionists have been keeping hidden, only revealing the secrets to those working in magic as a career. At that time it was a scandal equaling the shock of the first appearance of miniskirts and bikinis on television all over the world. And that’s nothing to say about how the Internet is revealing the secret behind different magic tricks. "Magic Trick Revealed". 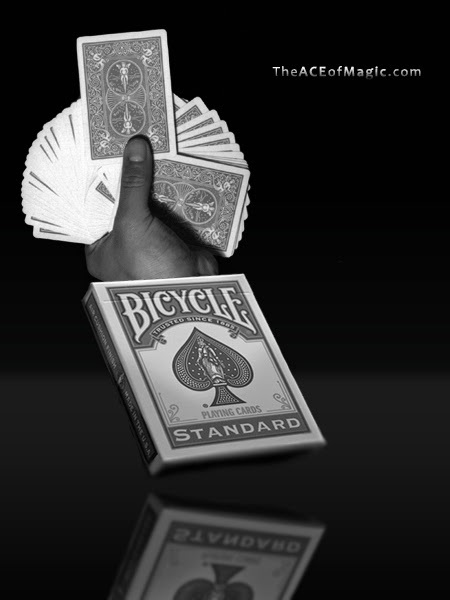 Now you can learn everything on the Internet from basic magic card tricks to big stage illusions. Videos even show the secrets of how to make a person disappear, a car appear – you name it!!! There is nothing that we can do control having those videos on the internet showing or promoting a magic trick revealed. But as a professional magician, I’m not worried about having those videos out there. The people looking to have a “magic trick revealed” are looking for a way to have fun or to challenge themselves to see if they can master the trick. Let’s face it. The people who really want to enjoy a magic show are still going to go to a magic show. A person who wants to be a magician is going to need more than the videos that reveal how to do some tricks. They will go to a magic school or join a magic club and find a magic mentor. And practice for years. Having said that, it is a new world now today for magicians, and we need to compete not only with our fellow magicians but also the Internet and many new forms of entertainment. If you are a magician working at corporate events, theaters, kids parties or schools, you will have an audience waiting to be impressed, and some of them may have seen these online magic videos(“magic trick revealed” ). Magic Trick Revealed. For real? All professional magicians know there is a lot that goes into a magic show. It is more than just pulling off any single trick. We are performers, comedians, actors, masters of distraction and sleight-of-hand. We have to know how to build momentum and timing for the maximum impact and the greatest enjoyment of all the tricks by members of the audience. Sometimes this involves facial expressions and choreographed movements on the stage. Other times it is developing a skill for impromptu jokes to handle any crowd situation. Those are some of the things on the stage. And behind the scenes, we work on marketing and other business aspects of what we do so we can book shows to keep entertaining people with magic. Whether we are illusionists, hypnotists, mentalists, stage magicians, comedy magicians, strolling magicians, card magicians, close-up magicians, or magicians for kids parties, we are entertainers. The training and years of experience that go into the work of a magic show can never be learned through the revelation of one magic trick. Magic is like life! Mastering your goals takes a commitment, sometimes over a lifetime. Our magic is based on rigorous training and experience. That is one trick I am happy to reveal.